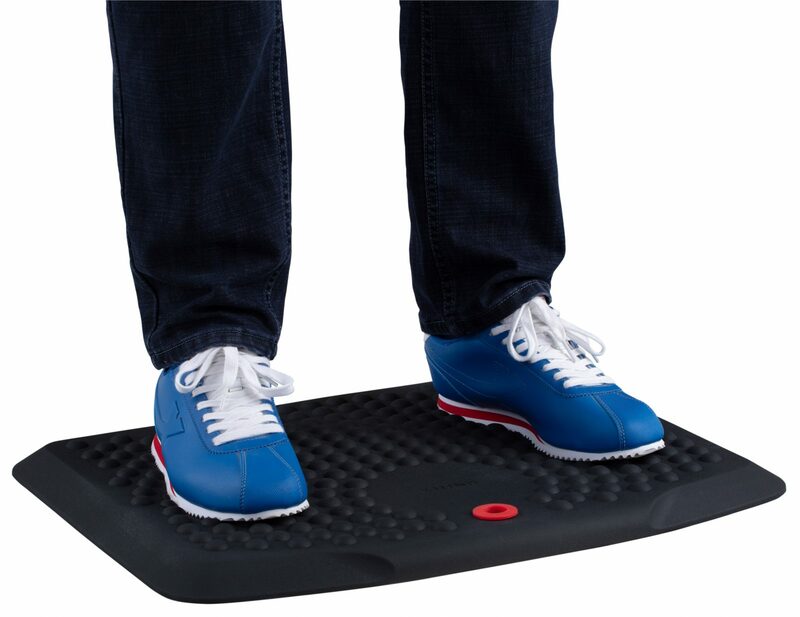 Kick off your shoes and give yourself an energy boost with SUN-FLEX®StandMat™Boost! 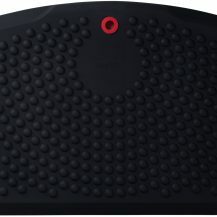 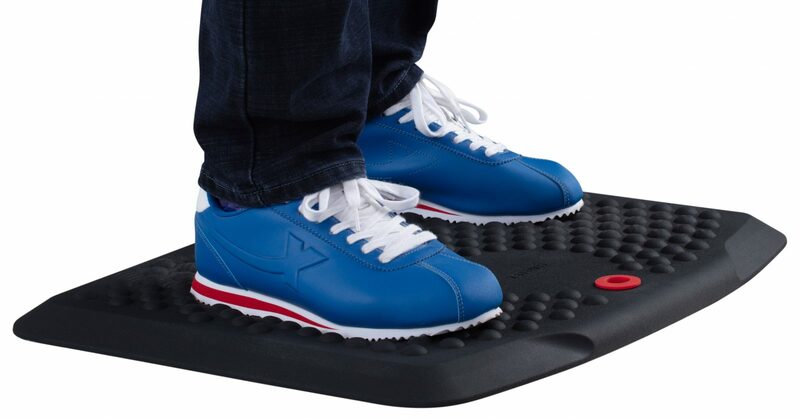 Due to 254 activity points and the 24 mm of pure comfort you will be standing and working all day with joy. 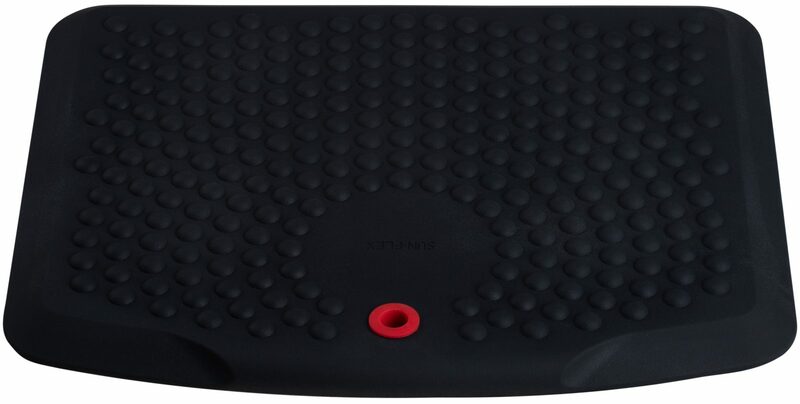 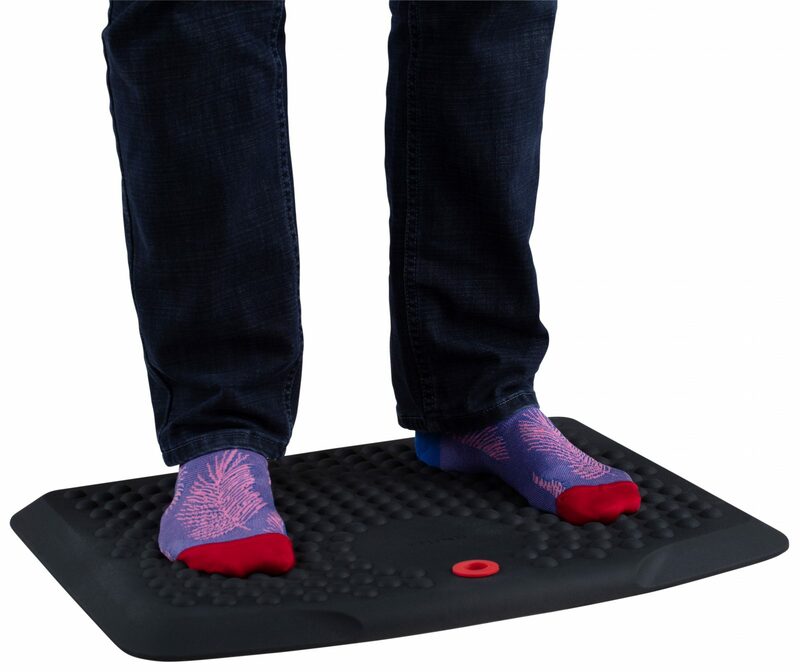 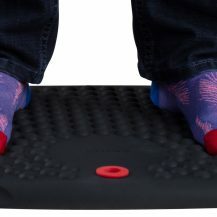 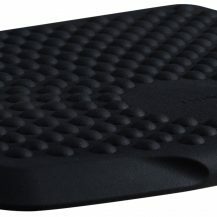 You can use the SUN-FLEX®StandMat™Boost as you prefer, with or without shoes. 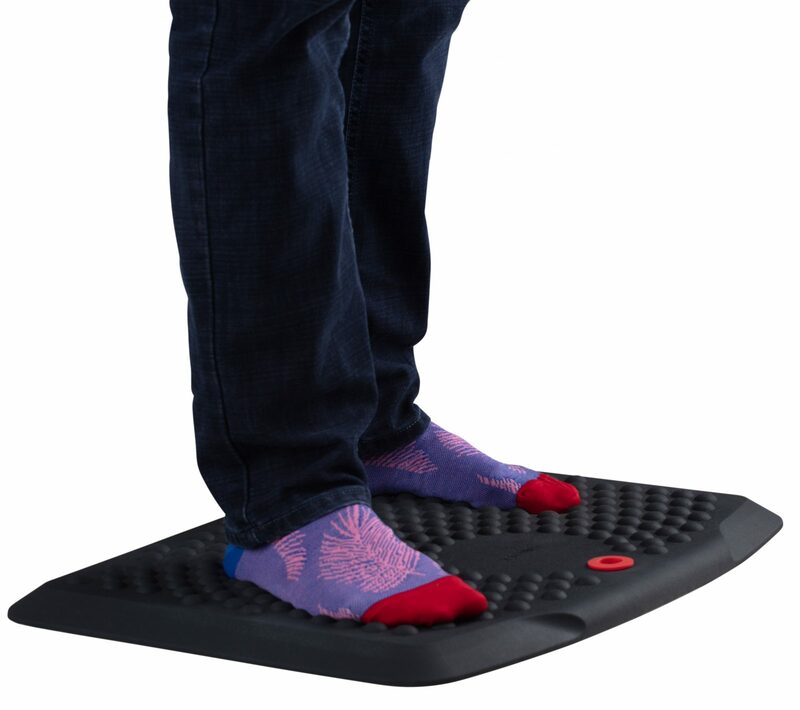 Standing without shoes increases your blood circulation, massages your feet and enhances your energy due to 254 separate activity points. 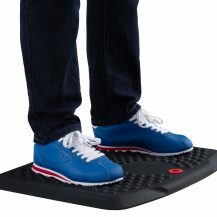 Standing with shoes provides you with a fantastic comfort, decreases your fatigue and activates your whole body. 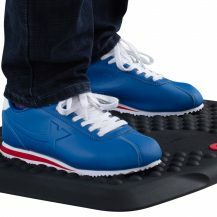 Even with shoes you can feel the 254 activity points making a difference. 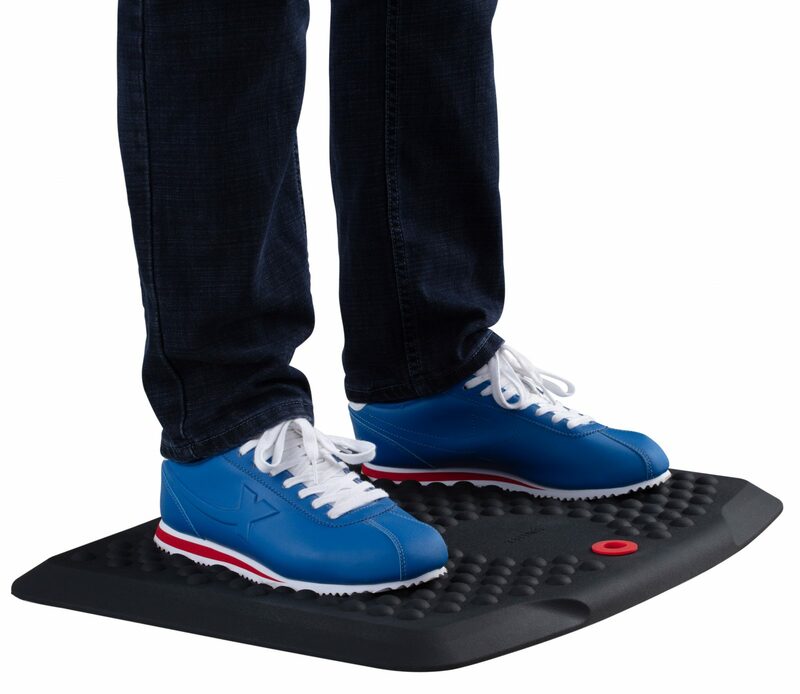 SUN-FLEX®StandMat™Boost is totally free from PVC and phthalates. 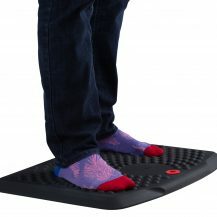 It is very easy to maintain and keep clean and it is even possible to disinfect, if needed. 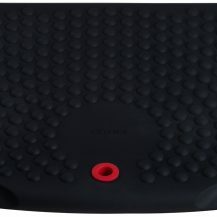 The surface has very small pores thus does not attract dirt or moist. 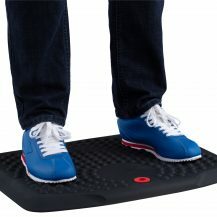 To be used in dry areas. 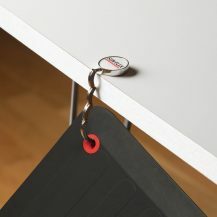 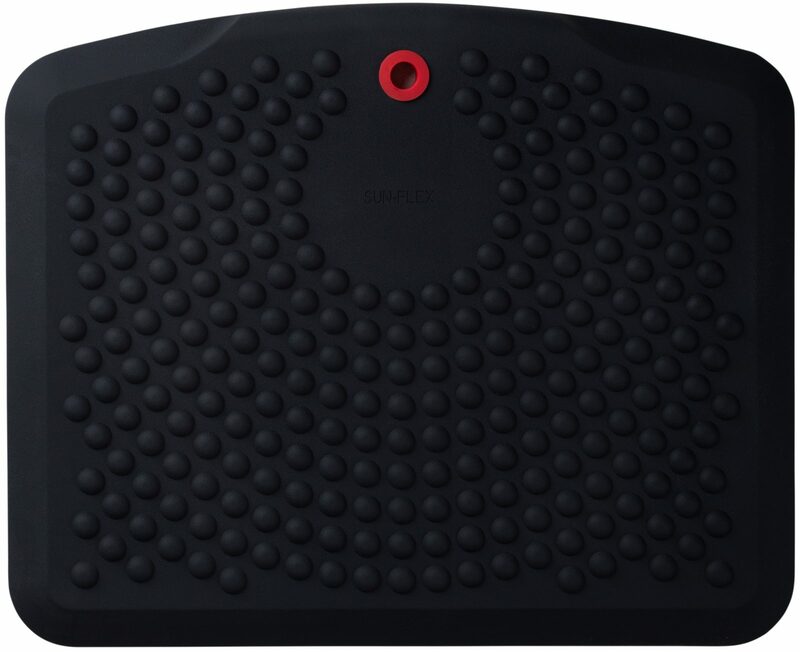 Hang the “Boostmat” at the side of your desk when not in use simply by using the SUN-FLEX®Hook and the red eyelet. 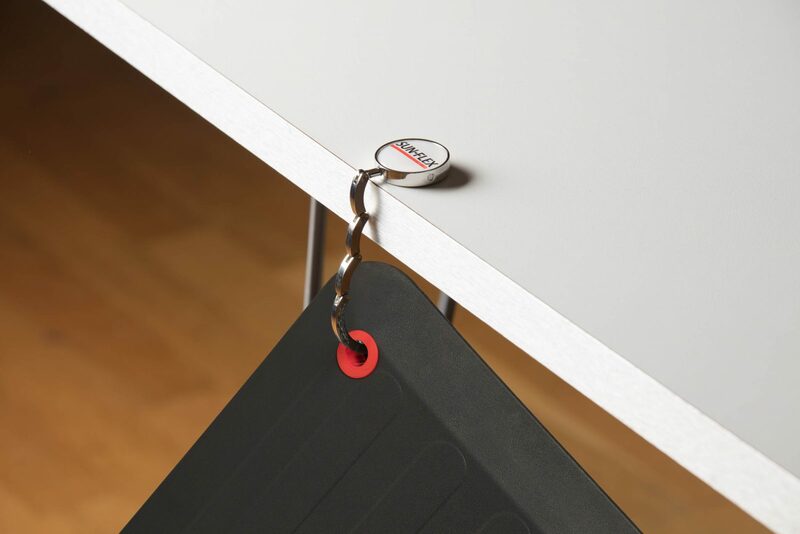 This is a perfect for the activity based office environment. 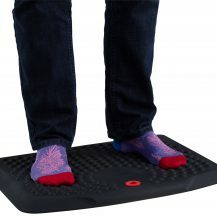 In combination with the SUN-FLEX®SwingStand™ or the SUN-FLEX®RollerStand™ you get the ultimate active and dynamic standing/sitting workplace. 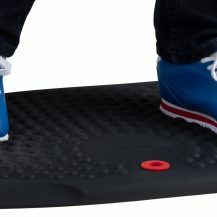 Simply said, boost your energy!